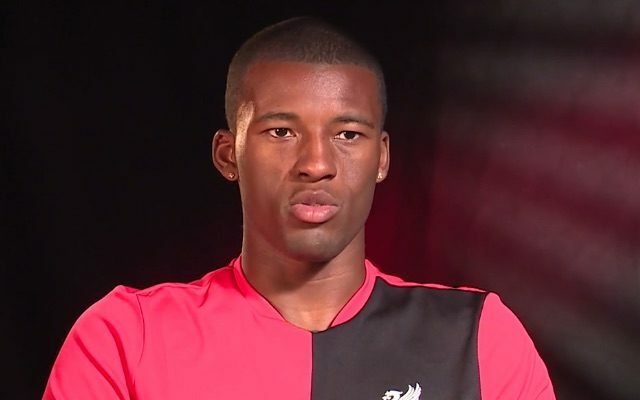 Our newest signing Gini Wijnaldum will not be involved in tonight’s friendly against Chelsea after being left out of the matchday squad. According to the Echo, the £25 million man did not travel with the squad to Pasadena, instead he stayed back in Palo Alto at our training base. Daniel Sturridge, Nathaniel Clyne, Christian Benteke, and Divock Origi also stayed back and will not be involved. James Pearce writes that the decision was mainly due to Wijnaldum’s late arrival in the States. He only met his new teammates for the first time last weekend and is currently on an intense training programme to bring his fitness levels up to speed. Sturridge is also on a fitness-intensive training schedule, while Clyne has a slight thigh injury. Fellow England internationals Jordan Henderson and Adam Lallana will be involved, however, as will James Milner. It’s understood that the utility man will start the game at right-back.